Practical extension for your microphone stand - Bye bye stand clutter! 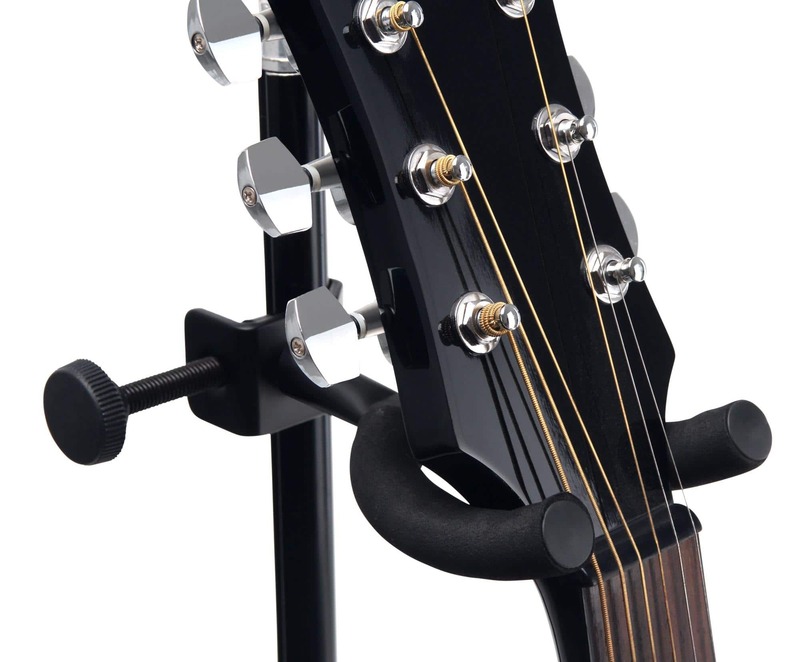 The Pronomic GHMS-10 guitar holder ensures a perfect hold for your classical, acoustic or electric guitar, acoustic or electric bass, banjo or other stringed instruments. 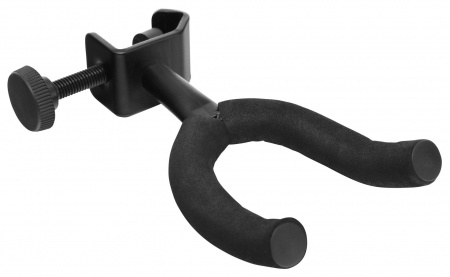 With this holder, you not only keep your stage neat and clean, you also keep your instrument nearby. You will be ready for anything! 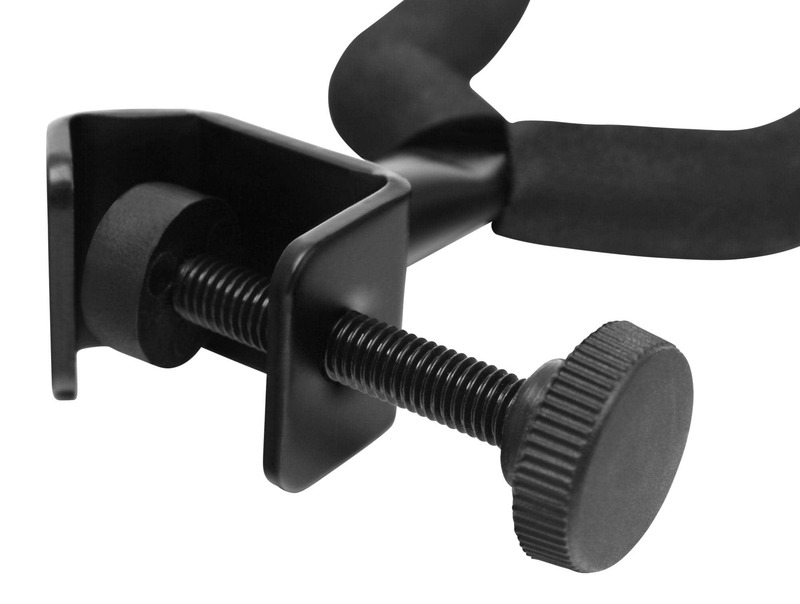 The holder attaches to any standard microphone stand with up to a 20 mm diameter. Just adjust a small rotary screw, and you are ready to go. 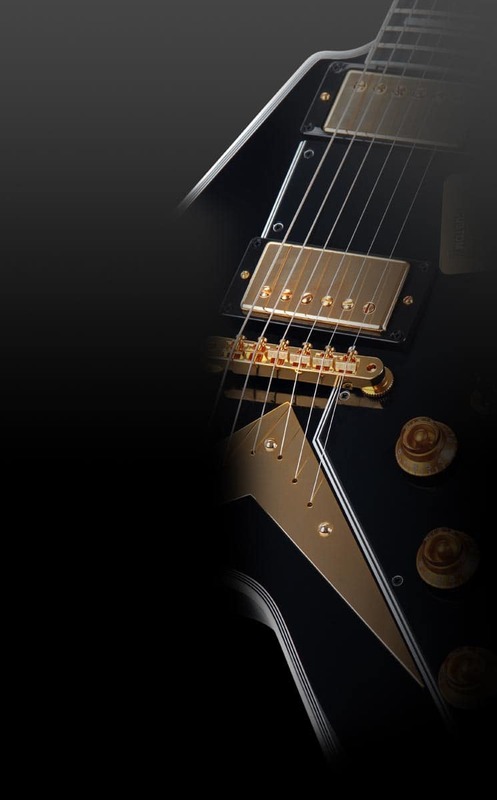 The instrument is suspended by the padded fork that also protects your instrument from scratches with its foam rubber. This practical helper will keep your clean stage and allow you to move freely on stage!